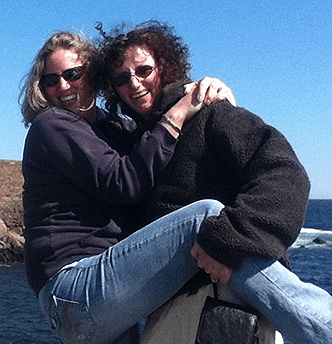 You are here: Home / Recipes / Lasagna Recipes to Satisfy Everyone! Lasagna recipes – everyone has their own “best”. There are so different many ways to make lasagna that it never gets boring. We love that a pan of it can feed a houseful of guests or provide dinner for the family for a week. And with different fillings, etc., it’s never the same dish twice in a row. Here’s a few of our favorite lasagna recipes. And here’s our absolute favorite pan. A basic vegetarian lasagna includes mushrooms instead of meat as well as peppers and onions for added flavor. 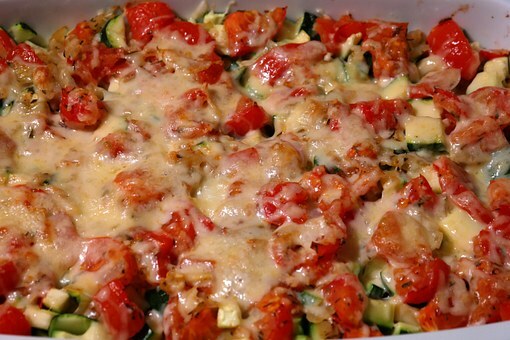 You could also get more creative with zucchini and yellow squash. Or go all out with spinach, carrots and loads of other veggies. No matter what recipe you use, no one will miss the meat! Try it for your next meatless Monday meal. Perhaps the most classic vegetarian lasagna, spinach lasagna is also super easy to make and hearty enough for even the biggest appetites. With the right seasonings, it tastes out of this world fantastic! Beef may be the most common meat in lasagna recipes, but we love using chicken too – especially as we’re trying to eat healthier and maintain a balanced weight. With creamy white cheese and spinach this chicken lasagna recipe is a crowd pleaser. It’s a break from tradition, too, because it uses white sauce instead of red. For added flavor, check out the herbed chicken lasagna. Or take comfort food to the next level with a southern style chicken lasagna. These are all big hits in my house. This may sound a bit odd at first, but seafood lasagna is actually really good. Try it with scallops and shrimp since those are common in Italian cooking. You can also make it with a white sauce and imitation crab meat. A twist we really like uses clam juice for added flavor. 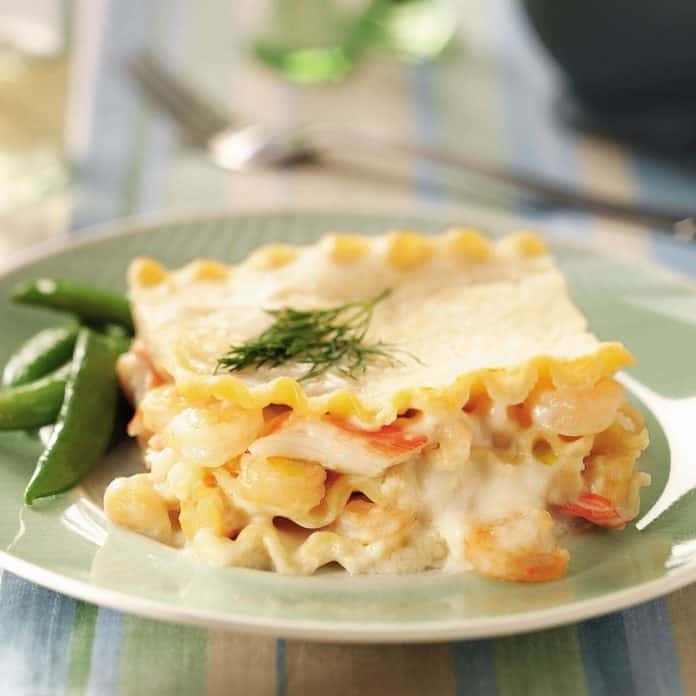 If you’re a fan of clam spaghetti or shrimp scampi, seafood lasagna is right up your alley. Everyone has a favorite beef lasagna recipe. In addition to being lasagna fans, we love cheese, so this beef lasagna with three cheeses is frequently requested. Because we’re trying to eat healthier, we also like this version that uses cottage cheese (or in our case, non-fat cottage cheese) instead of ricotta. Another favorite also uses cottage cheese, but offers a lot more in the flavor department since it calls for cloves. We know. It sounds a little odd, but it’s really good. Try it! You’ll see. Beef lasagna may traditionally be Italian, but adding Mexican flavors and veggies creates an amazing combination. It’s like a taco with noodles! Irresistible! 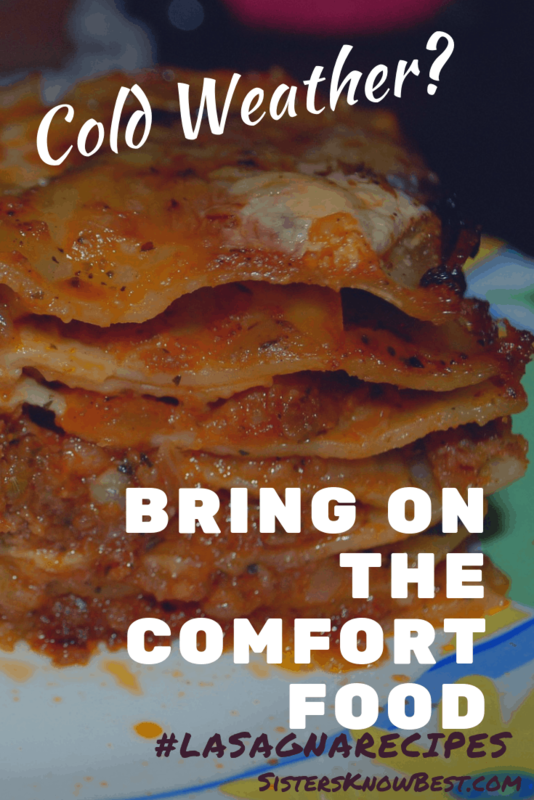 This one is sure to be a hit at your next potluck function or home lasagna night. For those doing a Mexican themed meal, try our Mexican spaghetti squash recipe. Super yummy! 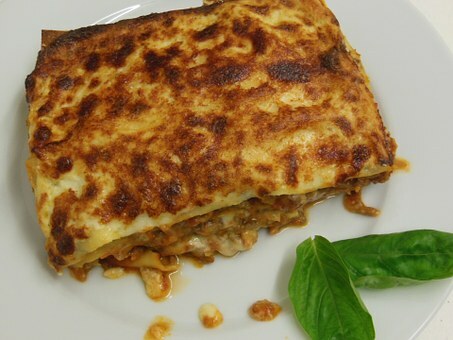 Sometimes we need to alter our lasagna for people with dietary restriction such as no dairy or gluten intolerance. There’s some pretty cool ways to it – and they taste amazing to all of us, no matter what we normally eat. This is super easy! For any lasagna recipe you can replace the ricotta cheese with squash. If that doesn’t appeal to you, there’s also great vegan cheeses on the market – that actually melt! Check out Daiya brands to find out where to buy them in your area. If you’re feeling a little more adventurous, try using nutritional yeast to make a cream sauce from scratch. More and more people are avoiding gluten whether because of an intolerance or a desire to keep carbs down. Either way, it’s still possible to enjoy lasagna. One of our favorite ideas is to use zucchini instead of noodles. But if you’re looking for something more traditional that’s still gluten free, check the pasta aisle for rice lasagna noodles. If you’re on Weight Watchers or another diet plan, our healthy lasagna recipe is a tasty way to get your lasagna fix without blowing your diet. It’s so good, you won’t even know it’s healthy! No matter what lasagna you choose to make, we’re sure everyone will love your take on a classic dinner favorite.